Women’s Day is approaching and there is much talk about the success of women, or rather, the successful women in workplaces. The numbers on women in workplaces are poor but, on the rise, reported a recent survey by The Economic Times – Women’s Forum. In the coming years, diversity and inclusion are among the top five priorities of the senior management of various corporations. All put together it would most certainly result in the increase in number of women in workplaces. However, on the other side, the number of incidences reported about sexual harassment at workplace is also increasing every year. This is worrisome because just this one factor could make us go back several steps in our attempt at bringing in more women at workplaces. And yes, anything related to corporate compliance is not easy to implement and hence we have compiled a list of most frequently asked questions about sexual harassment at workplace. Q: Do I need to have a Prevention of Sexual Harassment Policy (POSH) policy? A: Even if there are only two employees it is mandatory for your organisation to have a Prevention of Sexual Harassment Policy. This policy is mandated by the Sexual Harassment of Women at Workplace (Prevention, Prohibition and Redressal) Act, 2013. Q: What are the top MUST-DO things to roll out the POSH policy in my organisation? 3. Form a committee to deal with the matter as per the guidelines outlined in The Sexual Harassment of Women at Workplace (Prevention, Prohibition and Redressal) Act, 2013. Q: How does one decide what is harassment? A: The operating word in a case of sexual harassment is ‘UNWELCOME’ – if the person who is being subjected to harassment feels a particular word, gesture, action is unwelcome then it can be reported. Therefore, it is imperative to define the POSH policy with sensitivity. Q: What if the complaint is baseless? Q: In some organisations there are complain boxes, so if there is an anonymous complaint what do we do in this situation? A: First you need to conduct a discreet investigation, if there is substance in the complaint then you need to approach the ‘harassed’ employee and ask them to file a formal complaint so that the policy can be put to force. In the absence of a formal complaint, it cannot be pursued further. Q: What happens if my organisation does not have a policy even though it’s mandatory? Q: If a male slaps a male employee in the office or, if a female employee slaps a male employee, is that sexual harassment? A: If the aggrieved employee is a female it would be considered as sexual harassment as per Sexual Harassment of Women at Workplace (Prevention, Prohibition and Redressal) Act, 2013. An act of slapping also amounts to physical violence and must be dealt with accordingly. 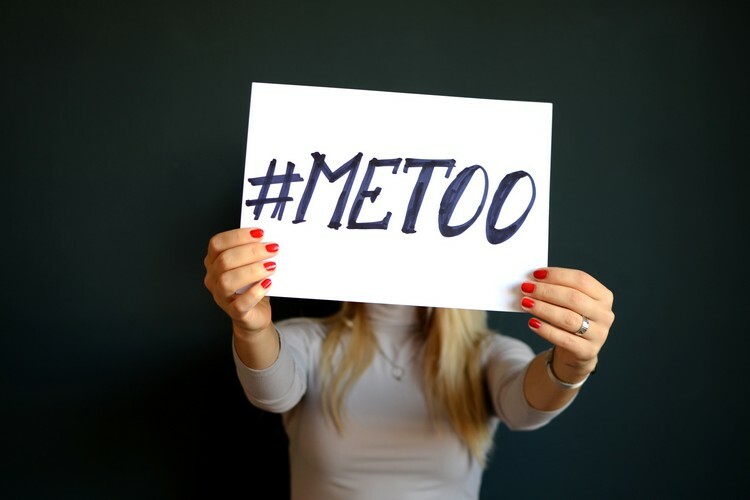 If the organisation has other enabling policies (such as bullying or harassment at workplace or a whistle-blowers policy or policy to deal with violence at workplace) then the matter can be taken up even if the same gender abuse is observed or reported. Q: What if the accused employee says, “It was only a joke”? A: It is very commonly observed that an employee who is accused of sexual harassment says in defence that it was not meant that way or it was only a joke. However, if the person filing a complaint feels being sexually harassed as defined by law, it would still amount to sexual harassment at workplace. Q: What if an employee of my organisation is accused of sexual harassment by a female employee of another company? A: In this case, the investigation and redressal process will sit in the organisation from which the female employee belongs. Your organisation will need to support the investigation process from time to time. You can read more about how to deal with sexual harassment at workplace in our previous blog. Q: Is it only for working women? A: No, it is for every woman who may get harassed at a workplace. It could be a visitor, freelancer, consultant or a customer, literally any woman who is visiting your workplace. Could be your direct employee, also an employee on a third-party payroll. Q: How can I get help in drafting a policy for my organisation? A: Having a POSH policy is a mandated compliance requirement. Your legal team/HR team should be able to help you develop the POSH policy. Alternatively, Yellow Spark has successfully developed, implemented and conducted sensitisation workshops in various companies. Q: Do I need to document the complaints of sexual harassment in my organisation? A: Yes, documentation is very important. Each organisation has to report the number of sexual harassment cases in their Annual Report. Documentation also safeguards you from future complaints of half-hearted investigation.